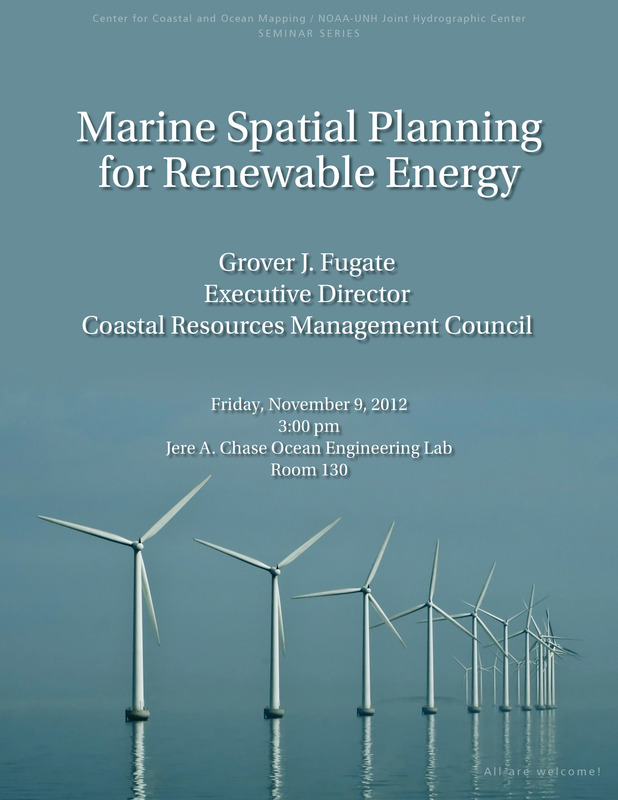 Grover Fugate is Executive Director of the Rhode Island Coastal Resources Management Council (CRMC). In his role of nearly 25 years, Fugate is responsible for overseeing the development of all policies and programs for the state’s coastal program. Currently, he is serving as project manager of the Rhode Island Ocean Special Area Management Plan (SAMP), the CRMC’s seventh such regulatory program. The SAMP will provide management of a variety of existing and new uses in state ocean waters and focuses in part on providing guidance for the development of offshore renewable energy resources. Due to his leadership with the model Ocean SAMP project, Fugate has earned several significant awards, including the prestigious 2010 Susan Snow‐Cotter Award for Excellence in Ocean and Coastal Resource Management from the National Oceanic and Atmospheric Administration (NOAA). He is also the recipient of the 2008 Rhode Island Sea Grant Lifetime Achievement Award. Fugate is the author of several academic journal articles on coastal and natural resources management issues and is a guest lecturer at the University of Rhode Island and Roger Williams University.